Planetary Resources seems to be one of the main supporters behind the idea that Asteroid mining might be doable and needed in the near future. It seems that the main usable resources that could be on an asteroid are platinum and water, one can be used as fuel the other a precious metal. The idea of “Asteroid Mining” does seem radical though. Right now we have an International Space Station (ISS), but that’s it in terms of anything permanently in space that may need resources from an asteroid. So if we’re talking needing the resources for use on Planet Earth, I think we have plenty of water but perhaps the value of the platinum exceeds the cost of the enterprise (Platinum is worth roughly 20,000$ a pound). So how much of these precious metals could an asteroid contain? And how expensive would mining the Asteroid be? One major factor to consider is that no asteroid has ever actually been mined so we can not know for certain how much of anything is in them, also the “X-group” (which is the smallest percent of asteroids) is the only kind that may contain precious metals. Asteroids do contain several minerals, including the precious platinum group metals (PGM). The PGM have several industrial uses here on Earth (think about catalysts and fuel cells), and increased demand for such uses leads to higher prices for them, and increased scarcity of PGM. Asteroid mining could provide sufficient supply at economic costs. Water is usable as a rocket propellent, either in solar thermal or nuclear thermal rocket, which would reduce the costs of transportation. 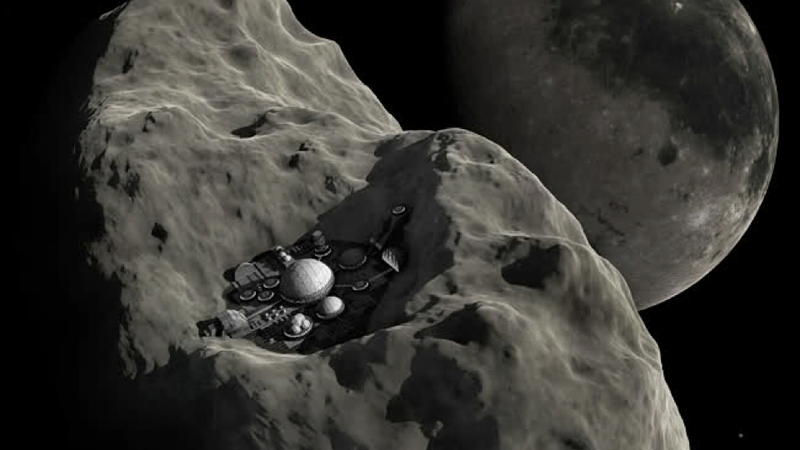 The main reason for asteroid mining is to fund space colonization. The revenues generated by the export of the products of asteroid mining could be used for the creation and maintenance of space settlements. The minerals contained in asteroids which are not valuable enough for export to Earth, are still highly valuable for space settlers. They could be used in the construction of space habitat, among other things. WOW! Thank you for adding your knowledge to this post! “The main reason for asteroid mining is to fund space colonization”- just wondering if this was speculation or if you have a source saying this. I think it’s extremely intriguing but I feel like it would be hard to convince our government or even the general public for that matter to invest all or even most of the revenues in space colonization. The reason I say that is because right now there is almost no serious public interest for it, and if it were proposed as a project to be government-funded right now I think it would be quickly shot down simply because we’re not in the best financial situation right now so I can’t see them justifying that much spending on space colonies. I really hope you’re right though! Space colonization could potentially solve a LOT of problems here on Earth if we invest the time and money necessary to develop it.